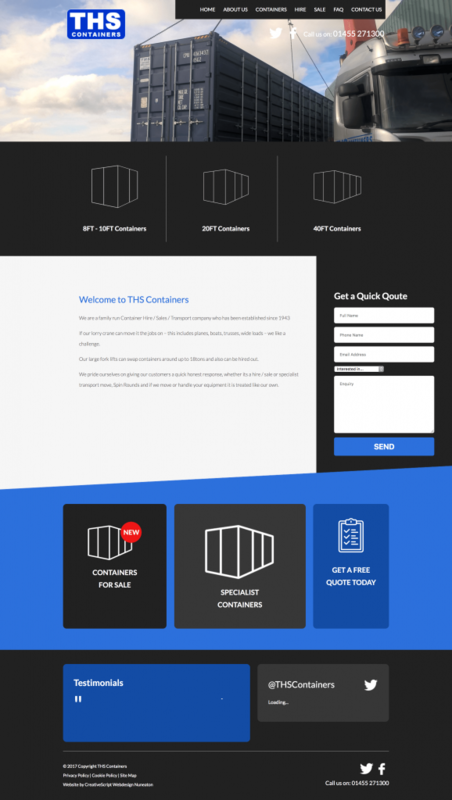 THS Containers is a family run Container Hire / Sales / Transport company which has been running since 1943, They excel in transporting and container solutions. We was given the task to over all their old out dated website, we brought the site up to date with a brand new look and feel, easy to use website. We used strong colours to give this site a corporate yet unique look and feel combine this with an easy to use open source CMS and they now have a site which is both easy to mange and looks great. Love what we did for THS Containers? then why not drop us a line and we will be in contact for friendly, no obligation chat, Let us explain how we can help you.